Boosting is one page landing template that has responsive and unique layout. 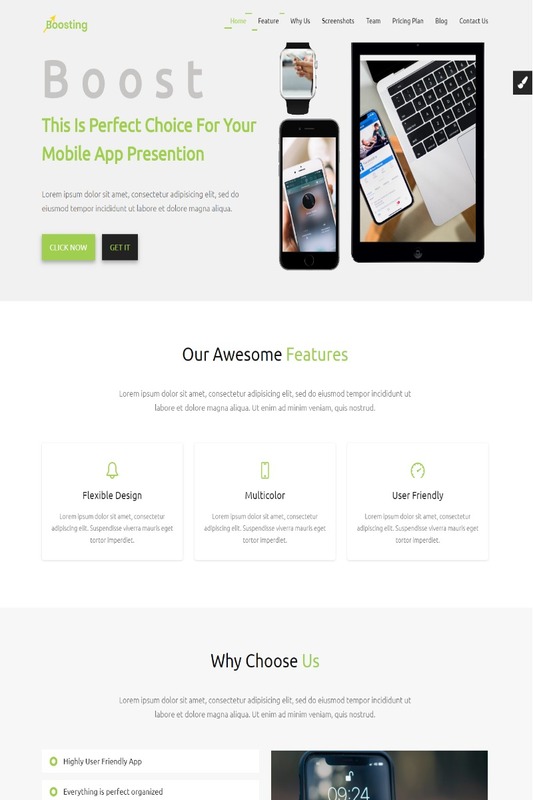 It's html section that offers you to change the theme as per your need.It does't have only predefined section, but it has different color css that you you can change the color of the template very easily.This template is suitable for simple business website, finance, advisors, coach, website. for it has also many features that are list down below.